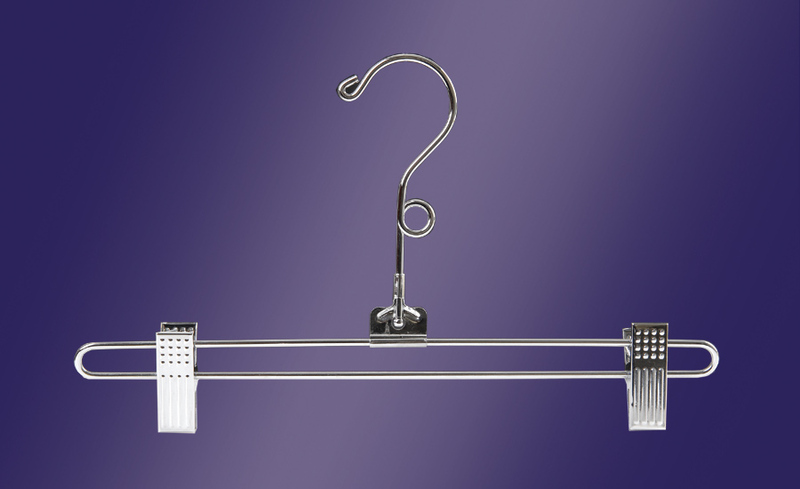 The hangers in iron, aluminum and rubber are suitable for those are looking for a touch of individuality and, especially, strength saving space. 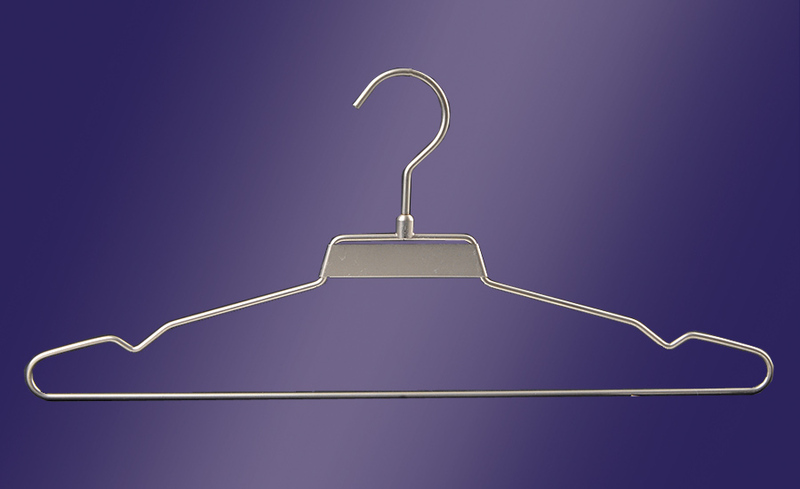 They are similar to those used in laundries but their texture allows to have an hanger definitely more robust and, thanks to their particular design, more pleasing to see. 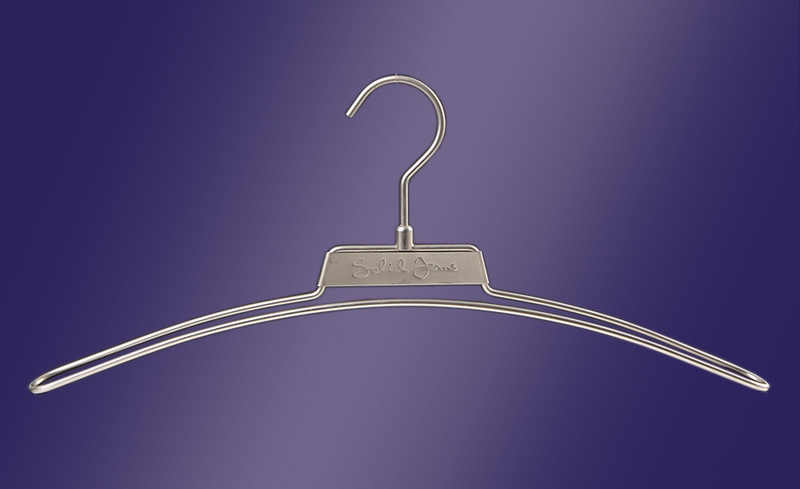 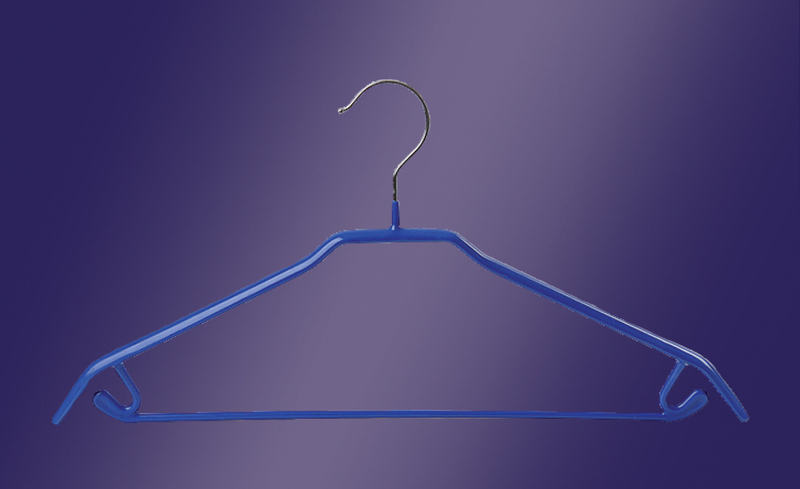 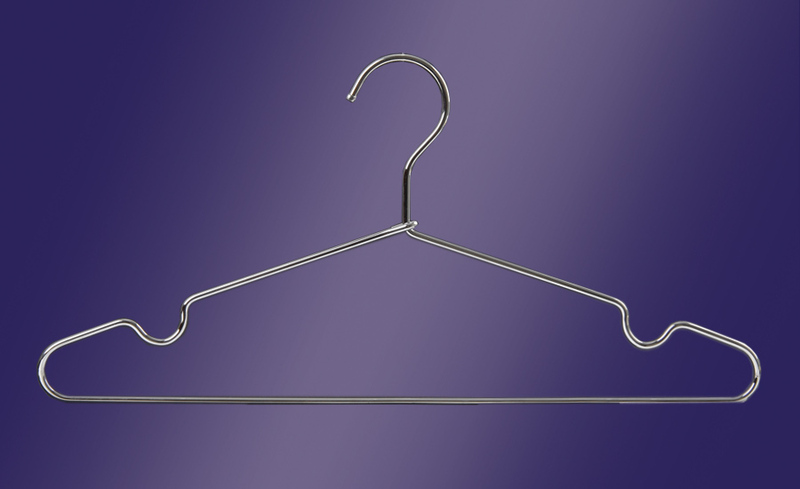 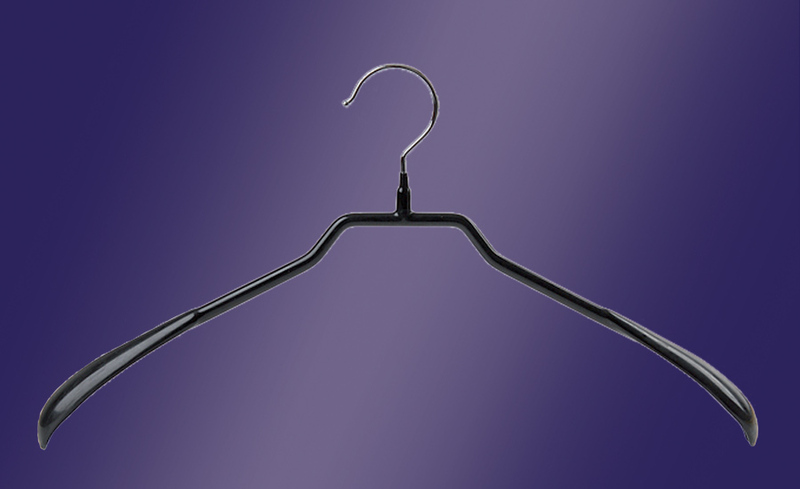 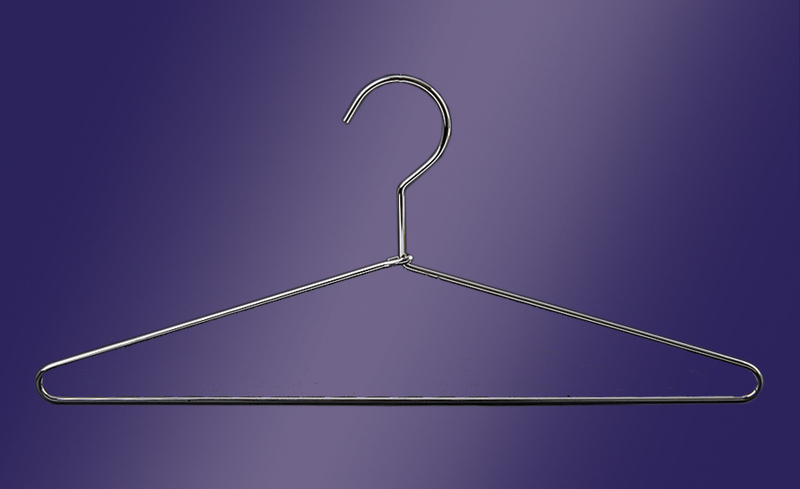 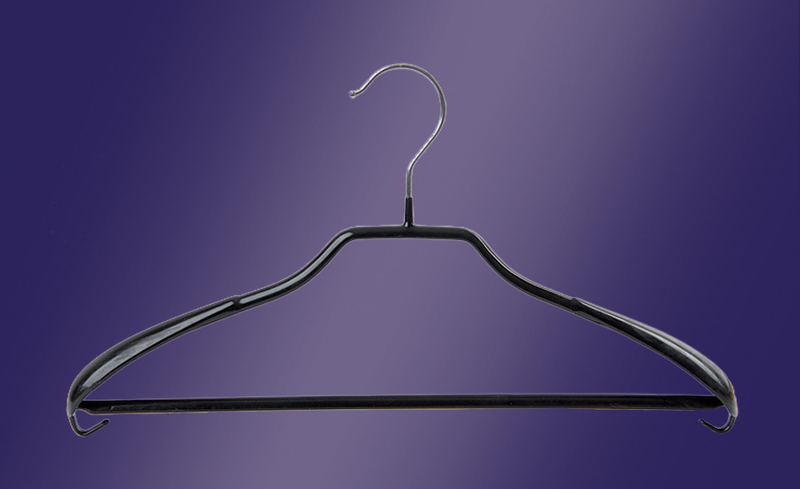 The solidity of metal hangers makes them suitable to hang any type of jersey, shirt, trouser, skirt or suit jacket / pants; the lightness of the aluminum makes these items very easy to handle and therefore particularly suitable for hanging children clothing very light, from trouser to dresses, from t-shirts to baby coat. 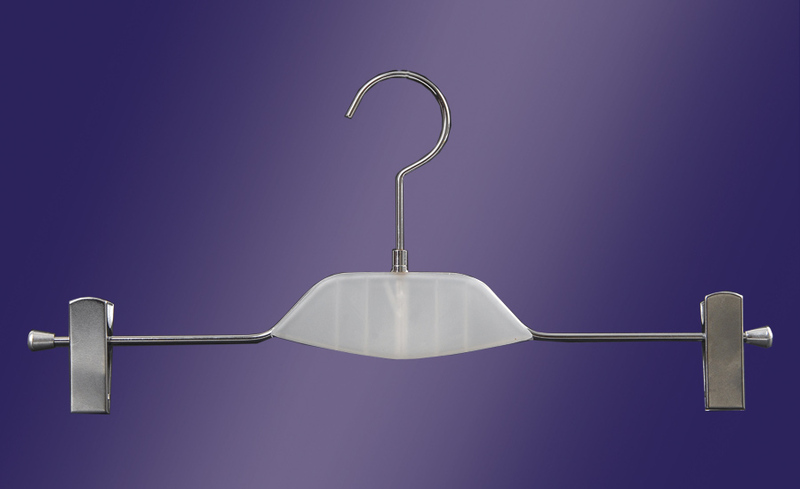 The one in rubber, ,thanks to the PVC cover that creates an anti-slip effect, are suitable to hang even the more slippery fabrics like silk or viscose. 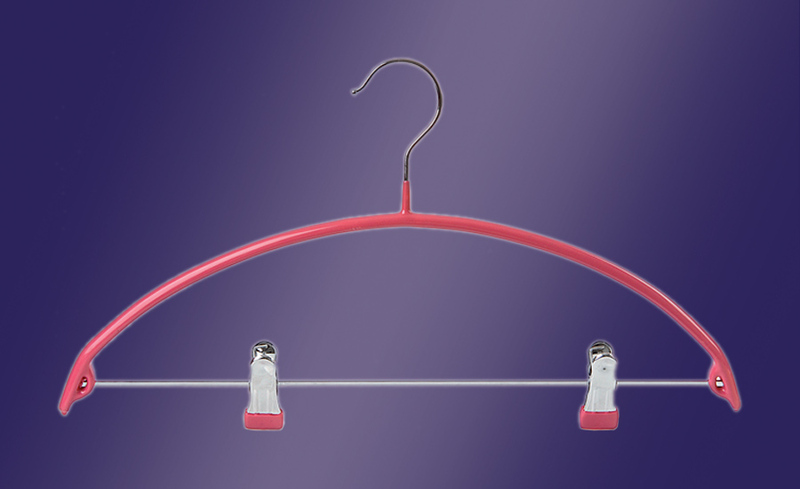 In addition, the variety of colors of the cover, from classic black to the more vibrant fluorescent pink, allows it to be adapted to any type of style of hanging garments. 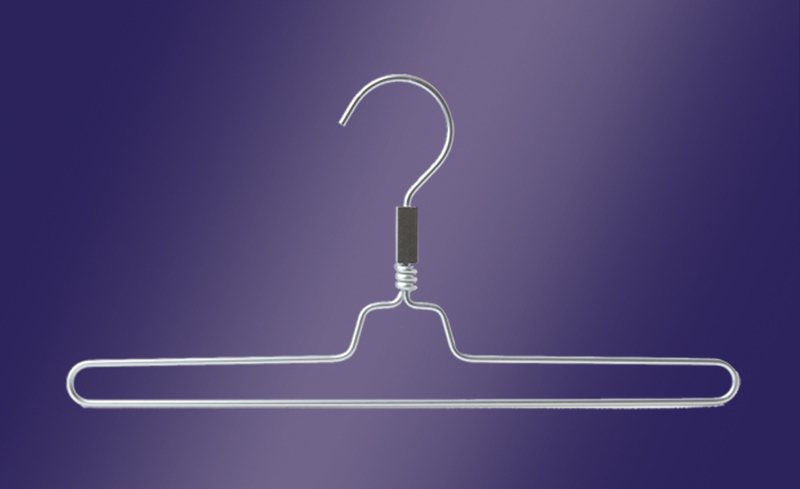 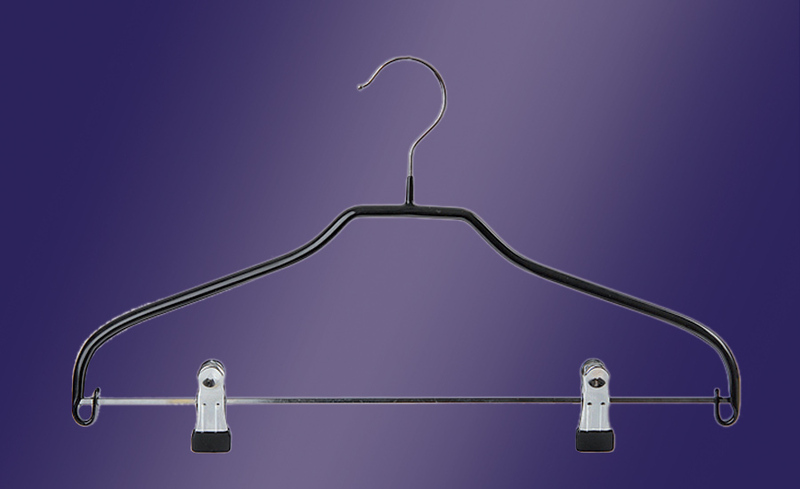 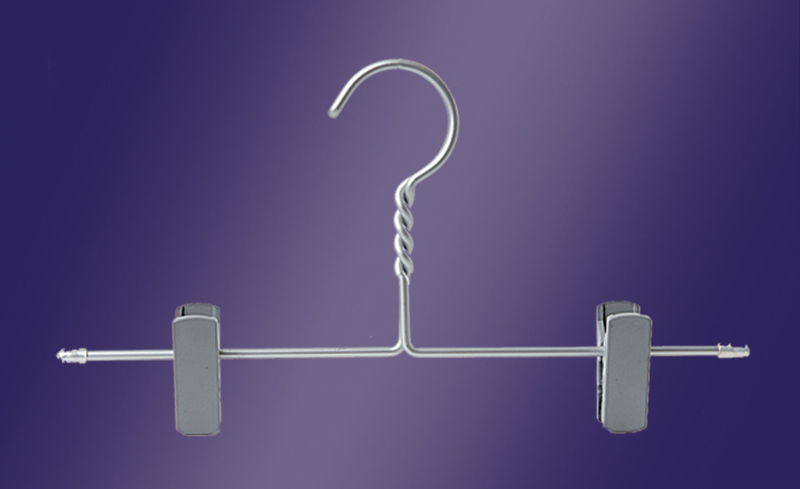 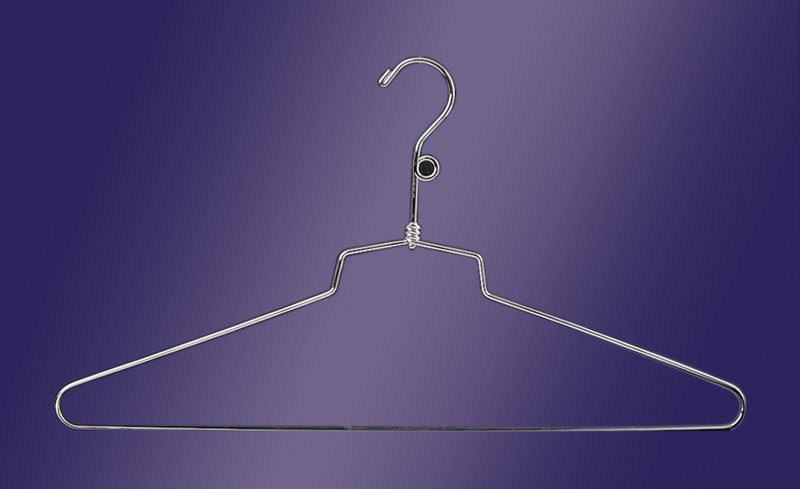 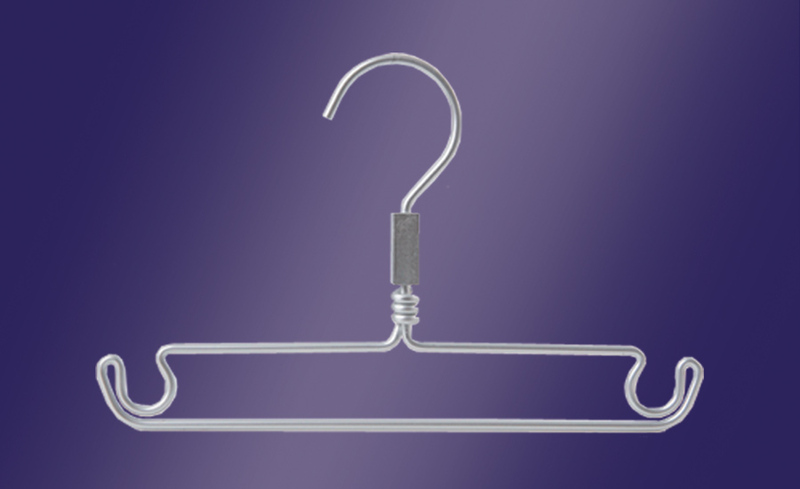 The metal hangers are designed mainly for stores and showrooms. 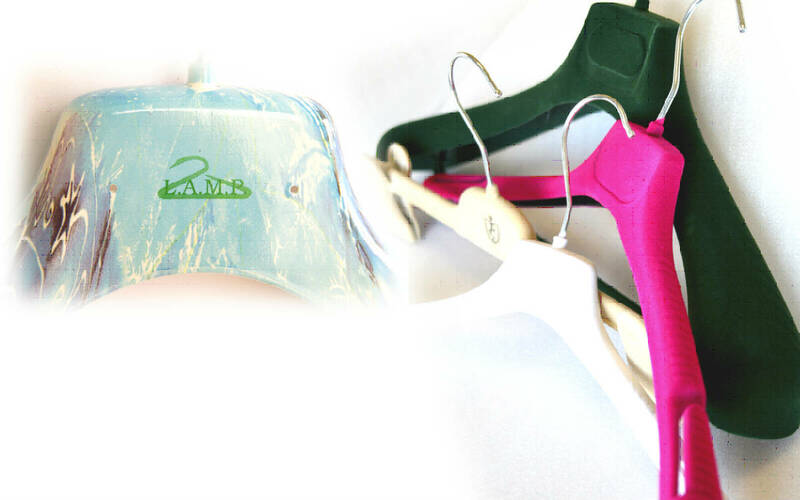 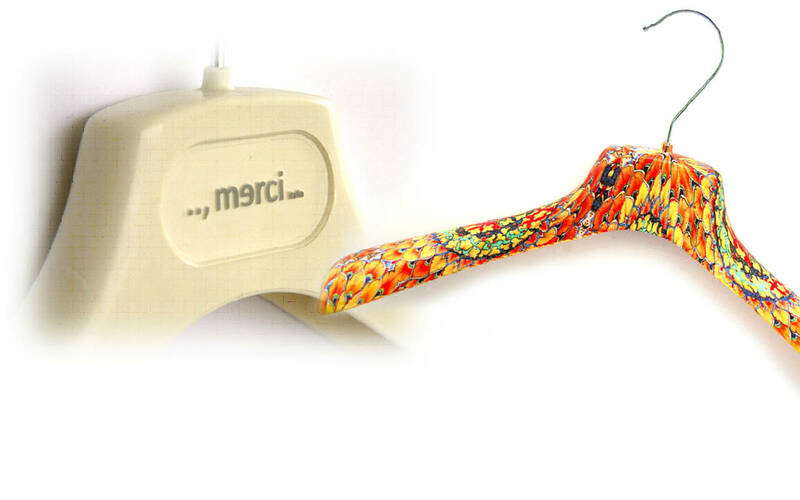 They have a special designed, that matches perfectly with the modern environments often created in clothing stores. 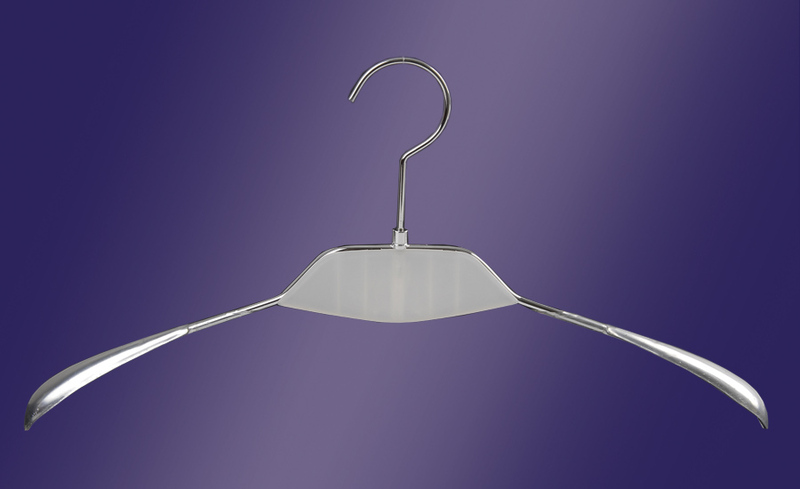 They are made in different shapes and sizes these hangers are made to have a long life and to become a distinctive of quality. 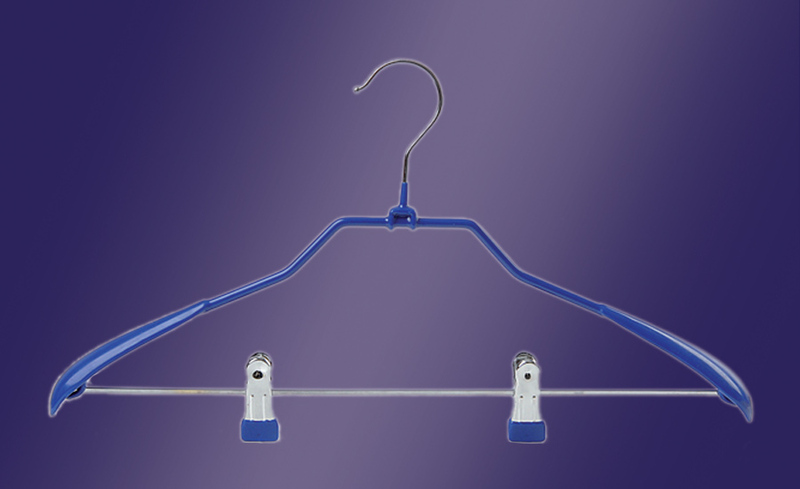 These hangers are made on request with a minimum quantity of 4000 pieces. 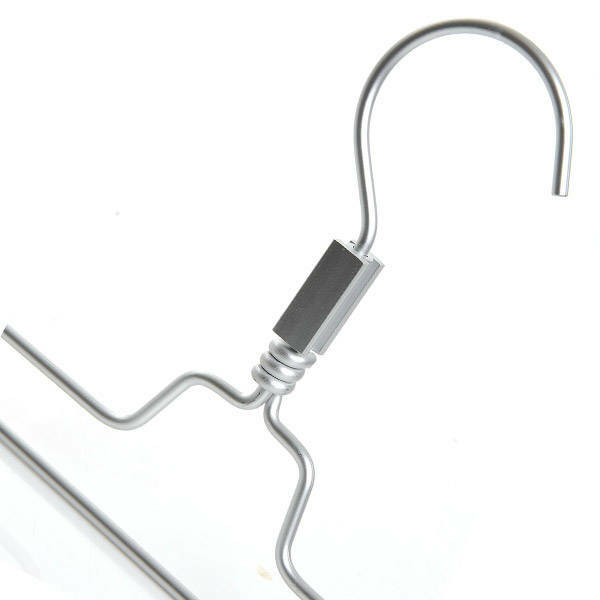 Production time about 3 months.